The hate is swelling within Emperor Palpatine. It gives him focus, vanquishes his fears and makes him more powerful than the blind and arrogant Jedi Knights. After rebuilding Darth Vader's body and warping his mind, the Emperor uses the dark side of the Force to change into his shuttle mode. He transports Vader to an undisclosed location in the Outer Rim, where he will complete his Sith training and make him the most feared villain the galaxy has ever known. Prelude: Emperor Palpatine is, as should be widely known, the main bad guy in the Star Wars movies. And one can not help but admit that he does a pretty good job as the ulimate villain. Once it was announced that there would be Transformers version of Star Wars characters, there was little doubt in my mind that Palpatine would give his debut as a robot as well. And what do you know, I was right of course. At first I found the choice of alternate mode a bit strange. The Imperial shuttle, despite being armed, is more of a civilian ship. I would have expected something more warlike for the Emperor, a Star Destroyer for example. If you consider how he came to power in Episodes I through III, though, the shuttle might be a good choice after all. So here's my detailed review. Robot Mode: The first thing I noticed about Palpatine's robot mode is his light grey, almost white colour, which is of course a concession to his alternate mode. Still, it does bother me a bit, seeing as the Palpatine we saw in the movies was mostly dressed dark or black, colours befitting his role as arch-villain. So it is a bit bothersome to see him with these light colours. It is not entirely unfitting, though. The light grey, combined with some dark and silver highlights, give the figure a hard-to-describe aura of dark royalty. That look is enhanced by the wings of the shuttle, which are connected to the hip in robot mode and fold down like some kind of robe, partially obscuring the legs. Palpatine's legs are my biggest complaint about the robot mode. They are composed of the rear portion and engines of the shuttle. Not a bad thing in itself. Unfortunately they are connected pretty far back on the hip, giving the impression of Palpatine having a huge rear end. He doesn't, actually, his back side is completely flat. So all in all his lower half looks a bit strange. Not so the upper half of the body. Most of it is composed of the folded-down cockpit of the shuttle. The arms, made from parts of the hull, are well-proportioned and also highly detailed. Palpatine actually has pretty hands. His head is less pretty, though, sculpted to resemble the ugly mug of the Emperor. Coloured black and green, his head looks exactly like it's supposed to: Like that of a truly evil being. Some words on posability, which is in general pretty decent in most Star Wars Transformers, and here, too. From the hands to the hips and down to the knees nearly all the joints are posable. No ground for complaints here. Also worth mentioning is Palpatine's weapons. Like most Star Wars Transformers he carries a light saber, in his case it's a red one, of course, with golden highlights on the hilt. He also has a sort of blaster, which can fire the light saber like a missile. Additionally he can carry the back fin of the shuttle as a shield and finally there are the two twin blaster cannons, which are fixed to the wings of the shuttle and are posable, too, by the way. So all in all we have a pretty good robot mode, but it does have some small flaws. The Transformers version of Palpatine does give a pretty decent showing as a villain, but in my opinion he is not at recognisable as the Emperor without some thinking. The resemblance with his movie version could be better. Alternate Mode: Palpatine transforms into a Lambda-class Imperial shuttle, as seein in Episode VI. The shuttle is very detailed and overall I like it very much. Like its silver screen incarnation it can fold up the wings for landing, while folding them down for flight mode. But that's not the only nice detail of this small space craft. It is equipped with a landing gear, which actually looks very much like that of its role model. It's two small silver legs folding down from the rear hull. Thumbs up for this one, a detail which could easily have fallen on the wayside. If you look at the base of the shuttle's back fin, you find Palpatine's hand weapon. It functions in shuttle mode as well and you can launch the light saber, but it looks pretty strange in this this mode, strutting out beyond the cockpit if you load it up. The cockpit can be opened, by the way, just like with most other Star Wars Transformers. You can easily seat the small version of the Emperor in here, which comes as an extra with the figure. There really isn't much more I can say about this alternate mode. It is very well done. Maybe a bit unspectacular, but very close to the role model. Remarks: Regardless of whether or not you like the Star Wars Transformers, Palpatine is a decent figure. Here we have a robot mode with some small flaws, paired with a good alternate mode. Still, the Emperor is probably only for those sympathetic to the concept of this series, he isn't that outstanding. 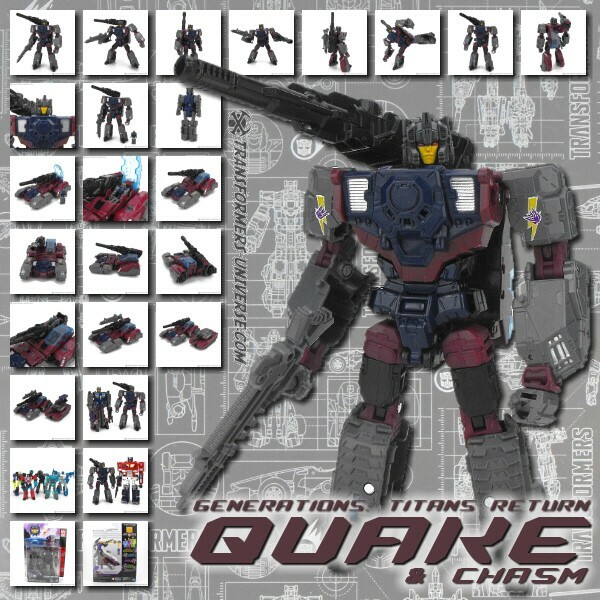 But if you look at the SW-Transformers as someting worthwhile, then you get a very decent main villain in this figure. That's all I can say.